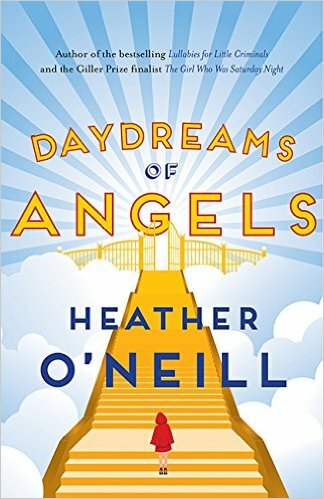 Daydreams Of Angels, by Heather O’Neill, was published this year, and shortlisted for the Giller prize. It’s a collection of short stories, and I read it partly to expose myself to Serious Literary Fiction, and partly because the blurbs made it sound cheerful and magical. There are three types of short story collections. In an edited collection, someone selects a group of stories along a particular theme. These are usually previously published stories, and often great examples of the theme. Then there is the single author collection of previously published stories. These allow the reader to see the author deal with various ideas, and often over a long period of time. Finally, there there is the single author collection of new stories, like Daydreams of Angels. This is the type least likely to be a satisfying collection. The stories tend to be stylistically and thematically similar, and some are weaker than others. The best way to read a book like this is slowly, giving each story a chance to sink in, before moving on to the next. The stories are certainly magical. Dolls come to life, people die briefly, and clones of Nureyev take over a northern Quebec town. At their best, these stories are wildly imaginative and funny. However, others are a long set up for a punchline that does not quite pay off. One reads more like a collection of notes for a story than an actual story. A couple seem like draft ideas for a novel. Scattered throughout are marvelous characters, interesting situations, and wonderful metaphors, but they are not always put to good use. Reading O’Neill’s stories brought to mind Avram Davidson, though I am not exactly sure why. Perhaps the inventiveness, perhaps the digressions or details, perhaps the interest in history, or perhaps the humour. As a whole, I did not find the collection satisfying, but there are a few gems in it. I’m sufficiently intrigued by her skills to seek out one of her novels. I assume her longer works avoid the annoying aspects of some of the short stories, while retaining the entrancing elements of most of them. I read her first novel and enjoyed it.